This powerful test system is designed for primary injection testing of protective relay equipment and circuit breakers. 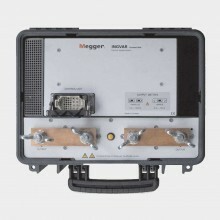 While capable of delivering 900 A continuously and 5,000 A for short periods, the Megger Ingvar primary current injection test set from Megger is readily portable, making it ideal for on-site use, even in applications such as underground substations where access would be difficult or impossible for larger test sets. 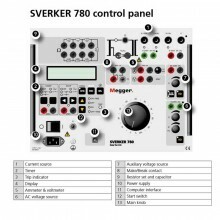 Ingvar consists of a power module and a separate control module. 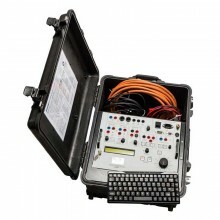 The modules are housed in robust carrying cases, each of which weighs only around 20 kg. 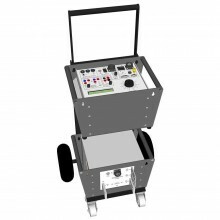 In addition to enhancing portability, this two-module arrangement also has the benefit of allowing the power module to be positioned close to the equipment under test, thereby reducing the length of test leads needed, while the control module is positioned for ease of access. 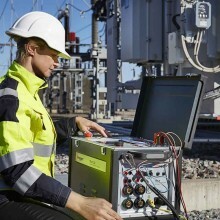 Advanced primary current injection test system to simplify all types of switchgear & CT commissioning, ground grid, circuit breaker testing. 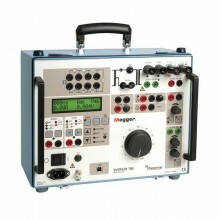 Two units, each of about 20 kg, makes it easier to carry. 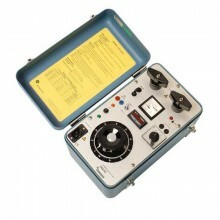 Unique I/30 function allows the current to be pre-set using low current to prevent test sample heating. 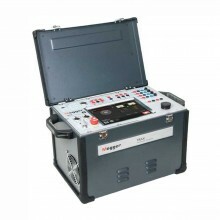 Measurement category: CAT I Rated transient overvoltage: 2200V. 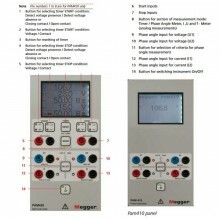 Mains voltage: 100 – 240V AC, 50/60Hz. 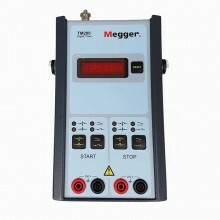 Data transfer: USB Type B Female. 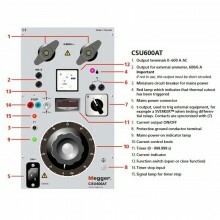 Dimensions (Control Unit): 546 x 347 x 247 mm (21.5” x 13.7” x 9.7”). 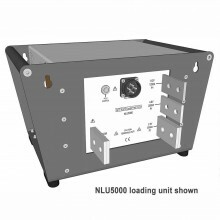 Dimensions (Current Unit): 410 x 340 x 205 mm (16.1” x 13.4” x 8”). 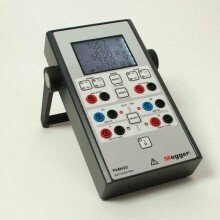 Weight (Control Unit): 20kg (44 lbs). Weight (Current Unit): 20kg (44 lbs). 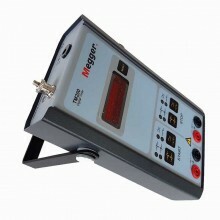 Megger Ingvar Warranty: 1 year. 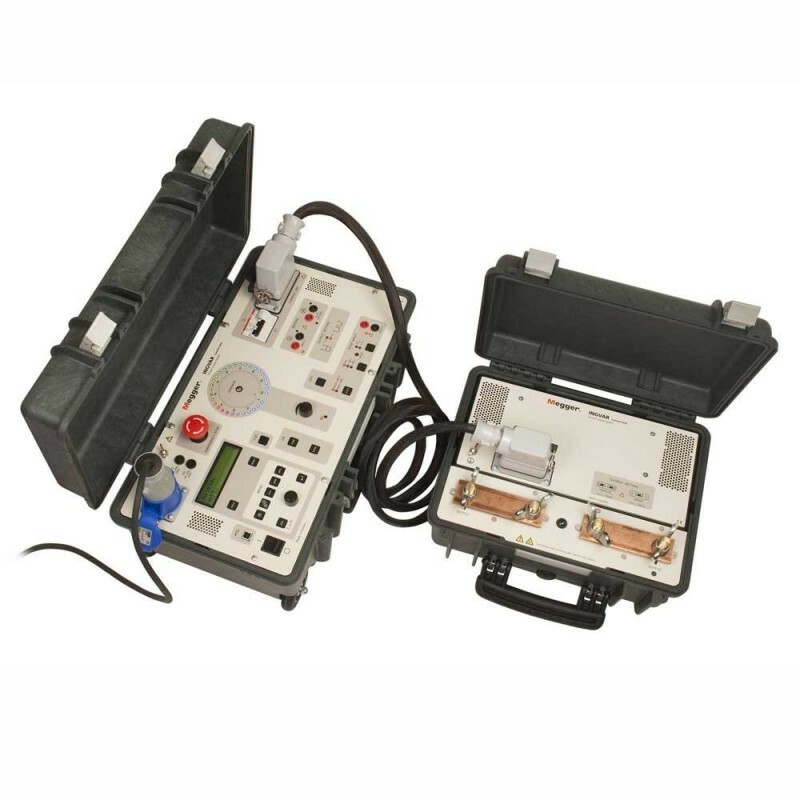 Includes: GA-12700 Interconnection cable 3m (10ft) x 1, GA-12051 Current cable 2m (6.5ft) 120mm2 x 2, 04-00087 Mains cable 3m (10ft) x 1, GA-00204 Grounding cable 5m (16ft) & Megger Ingvar instruction manual.